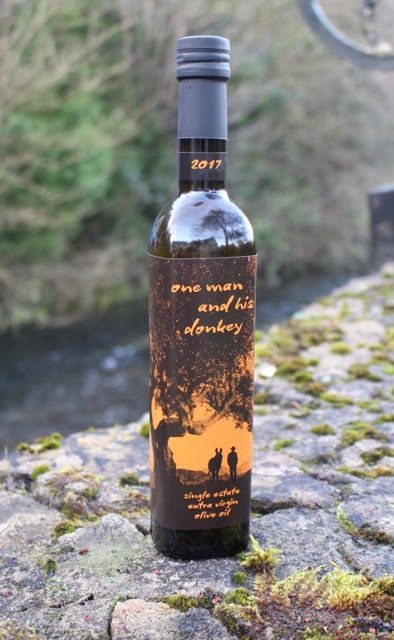 Following the launch of my Uncle Tom’s olive oil (“One Man and His Donkey” – see my post here for more detail), I wanted to develop a really simple recipe using it, that would allow the flavour of the olive oil to feature. This is a light salad that I’ve been served in Italy before, so it seemed a fitting match for our oil from Gran Sasso. I decided to recreate this dish with the additions of Pecorino (for what is a salad without cheese?! ), toasted walnuts for texture, and some pomegranate seeds for a touch of colour. The dressing is purposefully simple to ensure the flavour of the olive oil is not overpowered, so use a good-quality one if you can. Aniseed is not a flavour I particularly like, so I have to admit I was slightly put off by the strong smell when peeling the fennel bulbs. However, somehow when the fennel is contrasted with all the other flavours of the dish it becomes a much more subtle influence than I expected, so don’t be put off if, like me, it’s not a flavour you would usually go for. This dish is great as a fresh and delicate starter, or you can bulk it up with some freshly baked bread on the side for a light lunch. Prepare a large bowl of ice water. Trim the stalks off the fennel bulbs and discard, then slice the bulbs into quarters. Keep the fennel fronds back for garnishing at the end. Using a mandoline slicer or julienne peeler, shave the fennel into thin slices. I start at the top of the side of each fennel quarter and work downwards, in order to get thin strips. Place the fennel shavings in the ice water as you go, to keep it fresh. Slice all the peel off the oranges using a sharp knife, remove any pith and pips, and slice the oranges into thin segments. Make a very simple dressing combining the juice of one lemon with 6 tablespoons of olive oil, season with salt and pepper, and whisk with a fork until combined. In a non-stick frying pan over a low heat, lightly dry toast the walnuts for 2-3 minutes until they start to emit a delicious nutty smell. Remove before they start to catch or burn, and chop them into coarse chunks. Drain the fennel using a colander. 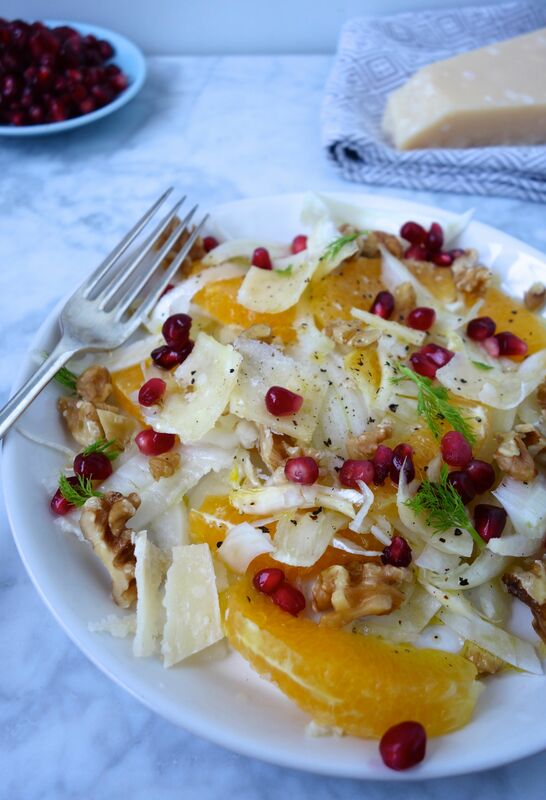 Arrange the fennel and orange segments on each plate, top with walnuts and pomegranate seeds, and drizzle with the lemon and olive oil dressing. Shave a generous amount of Pecorino onto each plate, and garnish with any fennel fronds. Serve immediately, with more olive oil on the side if required.